Photographer John Rowe discovered a deeply held secret on visits to the Omo River Valley in southwestern Ethiopia, a place of traditional culture and spectacular beauty. Children regarded as cursed, or “mingi,” were thought to be responsible for misfortune and were killed. “The reason why people get sick, the reason why there’s drought, the reason why there’s famine, is because of ‘mingi,’” Rowe explained. If children’s teeth first appear on the upper gum instead of the bottom gum, or if they are born out of wedlock, disabled, or are twins, they are ritualistically murdered. Rowe learned of the practice from Lale Labuko, his guide on his photographic journeys, and produced a documentary film about the practice called Omo Child. 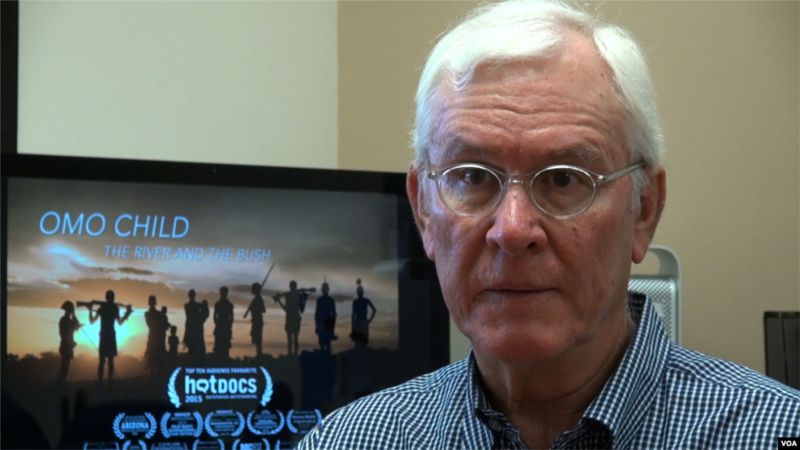 John Rowe, producer and director of the documentary “Omo Child: The River and the Bush,” which recounts the efforts of an Ethiopian man to end the tribal practice of “mingi,” the killing of children regarded as cursed. At age 15, Labuko saw a two-year-old child being drowned in the river and learned from his mother that he had also had two sisters who were killed before he was born. One woman in the film recounts losing 15 children at birth, all declared “mingi” and snatched by village elders to be fed to crocodiles.